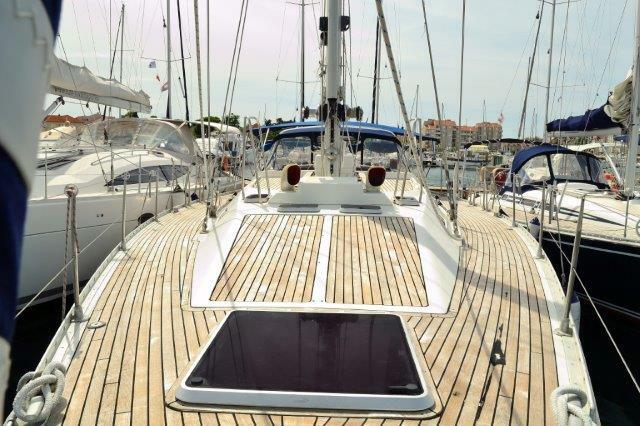 Yacht Resort | EXCLUSIVE SAILBOATS – Well maintained and economic price … Do not overlook them! 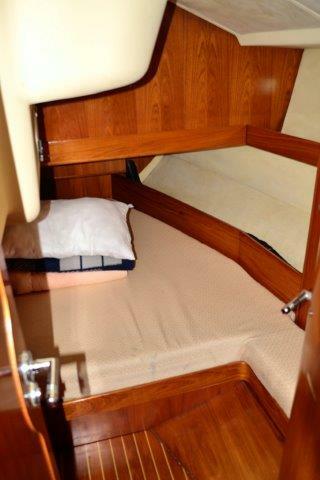 EXCLUSIVE SAILBOATS – Well maintained and economic price … Do not overlook them! ELEKTRIČNO SIDRO, ROČNO SIDRO, 1 KRMILO, ČOLN. VHF/DSC, NAVTIČNE KNJIGE, KOMPAS, SIGNALNE RAKETE, VARNOSTNI JOPIČI. 3 KABINE, ZA ŠEST OSEB; DODATNO LAHKO V SALONU SPITA DVE OSEBI. WHITE HULL, FURLING GENOA, STANDARD MAINSAIL, LAZY JACK WITH BAG, HARKEN WINCHES, ELECTRIC ANCHOR WINDLASS WITH COCKPIT CHAIN COUNTER, BOWTHRUSTER, 2 STEERING WHEELS, DINGHY, DECK CUSHIONS. 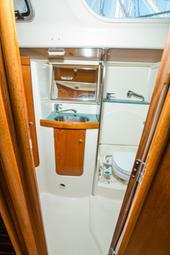 TEAK COCKPIT, FIXED TEAK COCKPIT TABLE, SPEAKERS IN COCKPIT, BIMINI, SPRAYHOOD, COCKPIT SHOWER, BATH PLATFORM. WEBASTO AIR HEATING, HOT WATER, 220V INVERTER, LCD TV, DVD PLAYER, ELECTRIC REFRIGERATOR WITH FREEZER, ALCANTARA INTERIOR, 4 DOUBLE CABINS WILL SLEEP EIGHT, SALON WILL SLEEPS TWO. TWO HEADS. BLUE HULL, TEAK DECK, FURLING GENOA, FURLING MAIN, ELECTRIC HARKEN WINCHES, HIDRAULIC VANG, ELECTRIC ANCHOR WINDLASS, BOWTHRUSTER, 2 STEERING WHEELS, DINGHY. 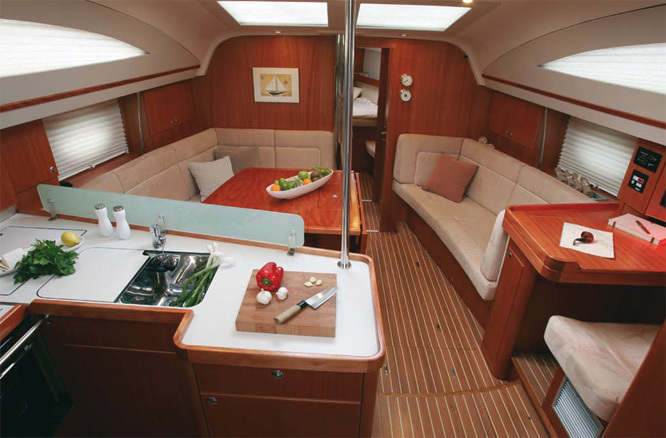 TEAK COCKPIT, FIXED TEAK COCKPIT TABLE WITH COOLBOX, BIMINI, SPRAYHOOD, SINK WITH WATER, COCKPIT SHOWER, HIDRAULIC TRANSOM PLATFORM WITH STAIRS, SPACIOUS STOWING AREA IN »GARAGE«UNDER COCKPIT. 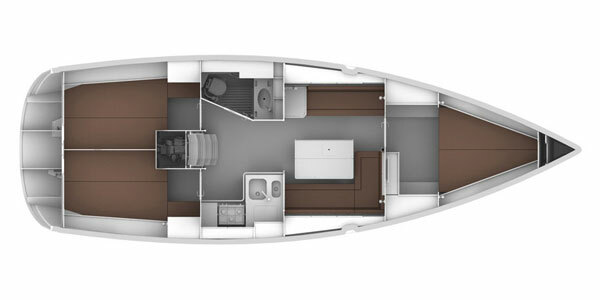 WEBASTO AIR CONDITION/HEATING, MASTERVOLT GENERATOR, 220V INVERTER, LCD/PLASMA TV, DVD PLAYER, ELECTRIC REFRIGERATOR, ELECTRIC FREEZER, LEATHER SALON CUSHIONS, 4 ELECTRIC TOILETS, FOUR DOUBLE CABINS WITH EN SUITE ELECTRIC HEADS/TOILETS WILL SLEEP EIGHT, SEPARATE SKIPPER’S CABIN IN THE BOW WITH TWO SINGLE BEDS, WC AND SHOWER WILL SLEEP TWO. 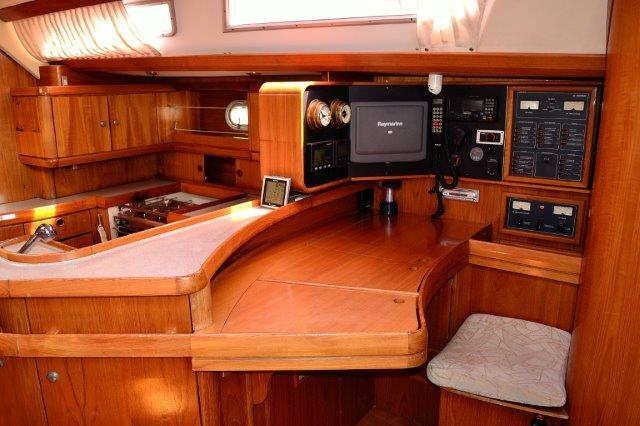 TEAK COCKPIT, FIXED TEAK COCKPIT TABLE, SPEAKERS IN COCKPIT, BIMINI, SPRAYHOOD, COCKPIT SHOWER. WEBASTO AIR HEATING, HOT WATER, 220V INVERTER, LCD TV, DVD PLAYER, ELECTRIC REFRIGERATOR WITH FREEZER, MICROWAVE, ALCANTARA INTERIOR, 4 DOUBLE CABINS WILL SLEEP EIGHT, SALON WILL SLEEPS TWO. TWO HEADS, ONE WITH SEPARATE SHOWER. WEBASTO AIR HEATING, HOT WATER, 220V INVERTER, CD PLAYER, ELECTRIC, EFRIGERATOR WITH FREEZER, TWO DOUBLE CABINS SLEEPS FOUR, SALON SLEEP TWO. ONE HEAD WITH SEPARATE HEATED, WET LOCKER. 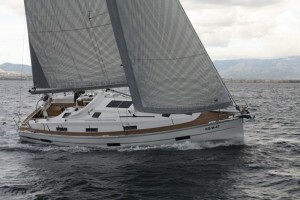 FURLING MAINSAIL: 34m2, FURLING GENOA: 54m2. 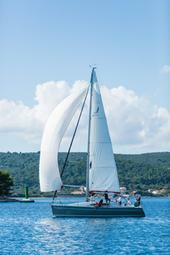 WHITE HULL, FURLING GENOA, FURLING MAIN, HARKEN WINCHES, ELECTRIC ANCHOR WINDLASS, 2 STEERING WHEELS, DINGHY. 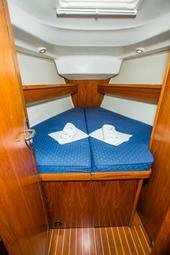 TEAK COCKPIT, FIXED COCKPIT TABLE, SPEAKERS IN COCKPIT, BIMINI, SPRAYHOOD, COCKPIT SHOWER. WEBASTO AIR HEATING, HOT WATER, 220V INVERTER, LCD TV, DVD PLAYER, ELECTRIC REFRIGERATOR WITH FREEZER, 4 DOUBLE CABINS WILL SLEEP EIGHT, SALON WILL SLEEPS TWO, TWO HEADS WITH WC AND SHOWERS. 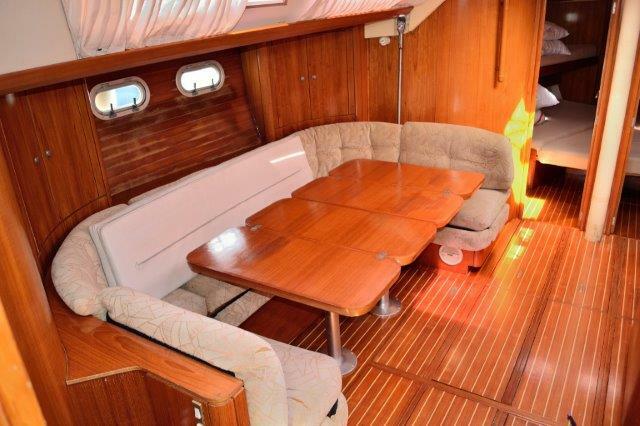 WHITE HULL, FULL TEAK DECK, FURLING GENOA, INMAST FURLING MAIN, SPINNAKER POLE, ELECTRIC HARKEN WINCHES, ELECTRIC ANCHOR WINDLASS, BOWTHRUSTER, 2 STEERING WHEELS, DINGHY. 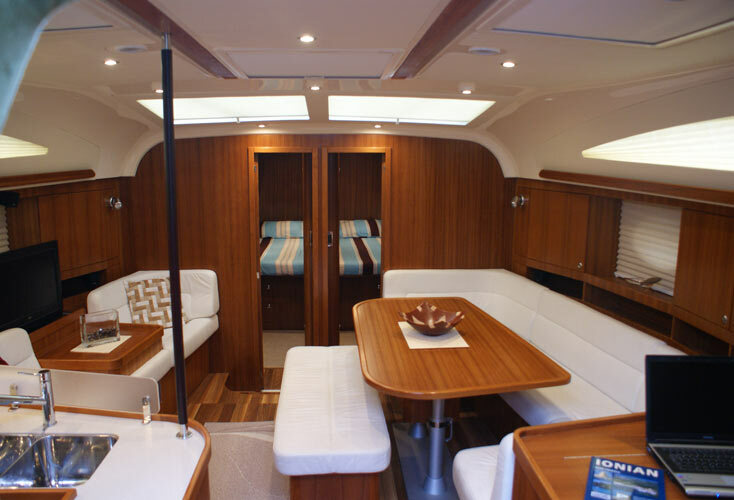 TEAK COCKPIT, FIXED TEAK COCKPIT TABLE, SPEAKERS, BIMINI, SPRAYHOOD, COCKPIT SHOWER. 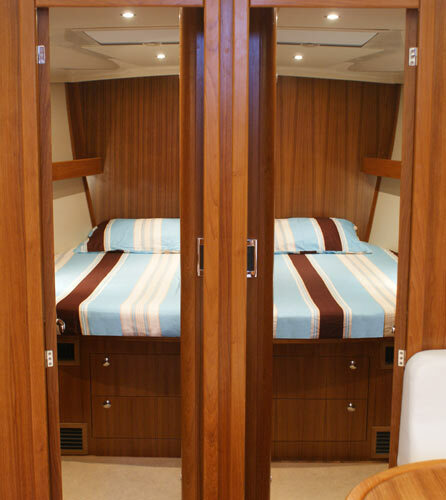 WEBASTO AIR HEATING, HOT WATER, 220V INVERTER, LCD TV, DVD PLAYER, ELECTRIC REFRIGERATOR, ELECTRIC FREEZER, 4 DOUBLE CABINS WITH SLEEP TEN, SEPARATE SKIPPER’S CABIN WILL SLEEPS TWO, 4 ENSUITE HEADS WITH WC AND SHOWERS. 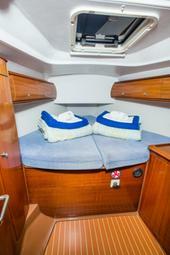 WHITE HULL, FURLING GENOA, ROLL MAINSAIL, HARKEN WINCHES, ELECTRIC ANCHOR WINDLASS, 2 STEERING WHEELS, DINGHY. 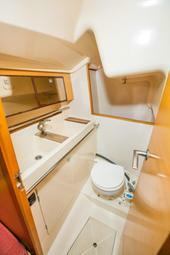 TEAK COCKPIT, FIXED COCKPIT TABLE, BIMINI, SPRAYHOOD, COCKPIT SHOWER. 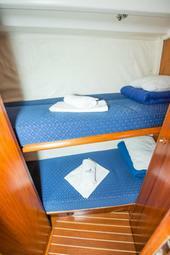 HOT WATER, RADIO WITH CD PLAYER, ELECTRIC REFRIGERATOR WITH FREEZER, 4 DOUBLE CABINS, WITH ONE BUNK CABIN WILL SLEEP EIGHT, SALON WILL SLEEP ONE. TWO HEADS, ONE WITH SEPARATE SHOWER. 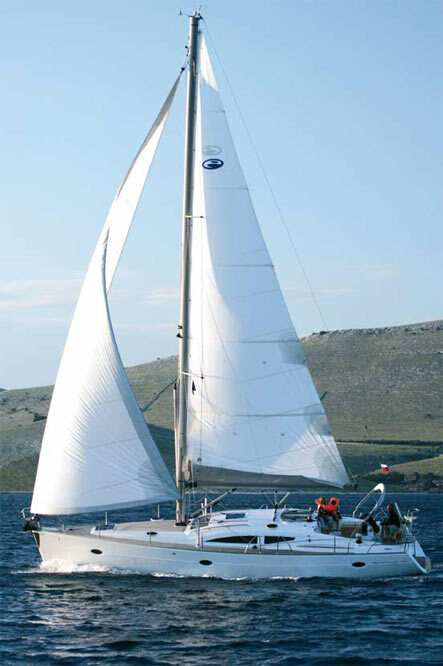 Choose your ideal sailboat from our special selection in one of the most beautiful destinations in Croatia, in Biograd Na Moru, in Kornati Marina. 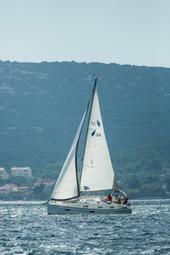 Kornati Marina is one of only few marinas in the mainland of Croatia which is only a few minutes walking distance away. 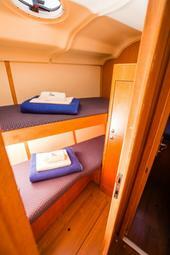 It is located in the middle of Adriatic sea with excellent transport connections. Its great position is known to be a very good starting point for sailing to Kornati islands and other islands along the whole of Dalmatia. 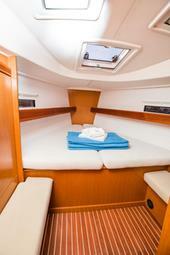 Choose a sailboat from special selection for carefree sailing, sailing pleasure and nice memories afterwards. 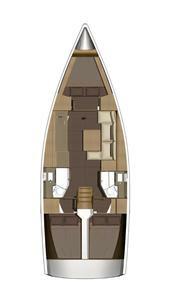 Our special boat selection has brands like BAVARIA, ELAN and JEANNEAU. 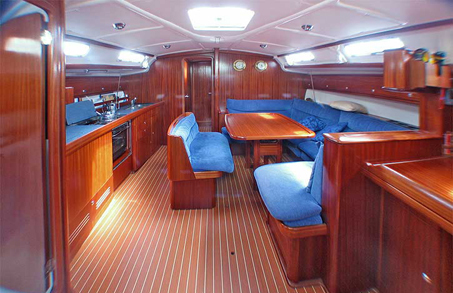 All the sailboats are well-furnished, regularly maintained and in an excellent shape for sailing. 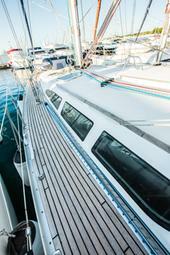 In family- owned “Charter” company with a long tradition, special care for sailboats is very important. 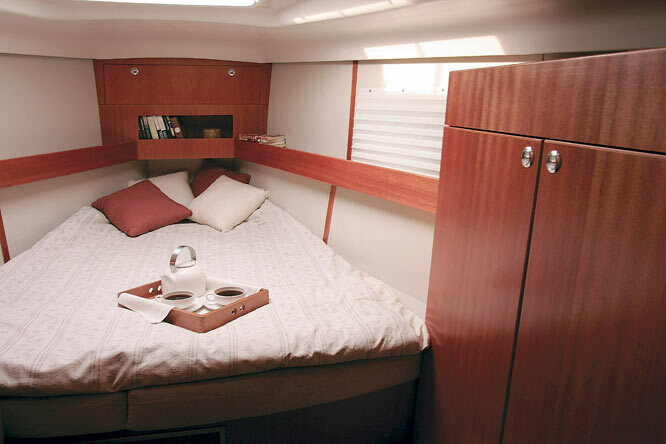 When you rent a special selection sailboat, you get 24 hour information support while sailing as well as 24 hour “Helpsea” support in case of unforeseeable events. 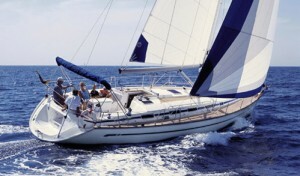 Sailboats are available also in different periods. Let us know your desired dates, we will send you an offer! 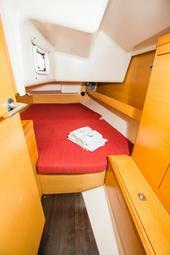 Bavaria 36 Cruiser Sailboat, 2012, is ideal for sailing and travelling. 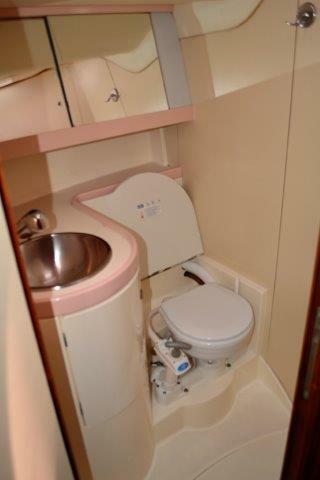 It is fully furbished; its interior still has a smell of freshness. 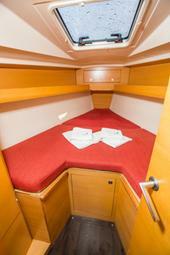 It has excellent sailing characteristics and it is suitable for family and friends. 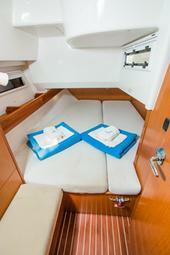 Two Bavaria 44 Sailboats, 2002/2003, are well prepared for sailing, despite their age. Their exterior and interior, furniture and equipment show no age whatsoever. You can see how well-maintained they are and you will be surprised how well-preserved they are. 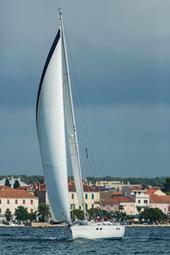 Sun Odyssey 51 Sailboat, 1992, (restored in 2014), is a real sailboat for those, who love excellent sailing characteristics and spaciousness. Despite its age, it is enviable and incredibly well preserved. It is without a doubt an excellent choice regarding the price and its well-preserved state. 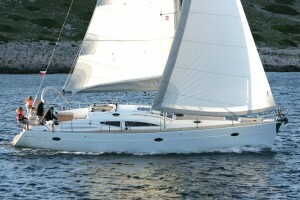 It is a sailboat, which can prove longevity and will never disappoint you. Choose your favourite ELAN sailboat from our special selection and sail away to an unforgettable vacation. There are 8 excellent ELAN sailboats in our selection. 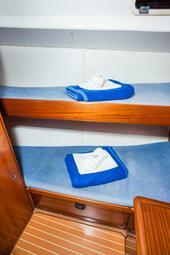 They are the right choice if you wish for a good combination between sailing characteristics and comfort. All the sailboats are regularly maintained and well-preserved. 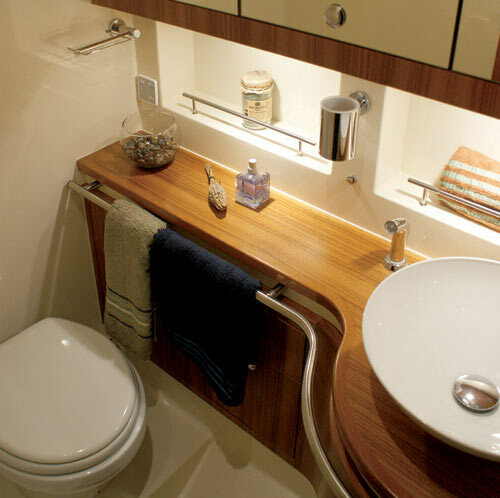 You will not regret your sailboat choice. Try and you will see it for yourself!